Lucky to be living in South America and travel wherever we’d like for half a year, we read several travel guidebooks. We decided to take the opportunity to volunteer. Amazon Rainforest Animals: We wanted to learn what animals live in the Amazon rainforest Ecuador and experience at least one Amazon jungle expedition. 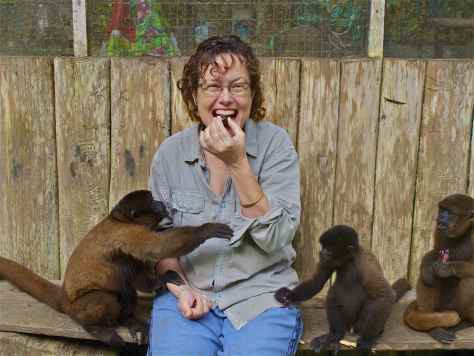 We found the Amazon rescue center AmaZOOnico which offered us to stay with woolly monkeys deep in the Amazon rainforest, miles away from any civilization. Unfortunately, many Amazon rainforest animals get poached. If not for food, they are sold and raised as a pet in a household or zoo. Brought up by human beings, the wild animals in the Amazon rainforest lose their fear and respect for human beings. Cute little baby animals enjoyed as pets, turn into trouble as soon as they reach adolescence. Learning about Amazon Rainforest Animals. Initially friendly, young monkeys turn dominant aggressive and dangerous towards their owner. Nothing else can be done to solve the situation as to keep the animal in a cage for the rest of its life, without hope of reintroduction to the wild or, putting it down. In the Amazon Ecuador, it’s still custom and fancy to keep Amazon wild animals like monkeys as a pet although it’s prohibited. Authorities, therefore, start to be more rigorous and confiscated these animals during the last years. 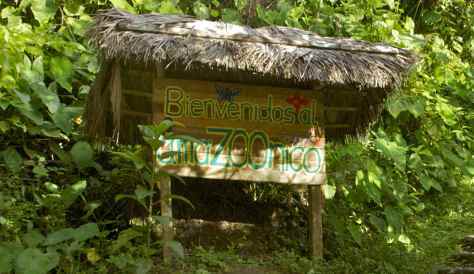 They bring them to an Amazon Rescue Center like AmaZOOnico. Only a small number of these rescued animals can be reintroduced into the wild on the 17 km2 Wildlife Reserve in the Selva Viva (Rainforest). Previously wild animals in the Amazon rainforest kept as pets will always search for contact with humans again. Easier to raid some bins than to search for Amazon rainforest food. Additionally, grownup as a lonely pet, normal social behavior to others of their specious is disturbed if not aggressive. This may even cause the killing of other monkeys or related animal species. 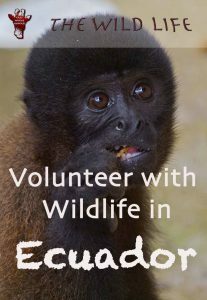 Living in South America for six weeks with six woolly monkeys deep in the Amazon rainforest, we experienced with great interest the reintroduction into the wild as close as can be. 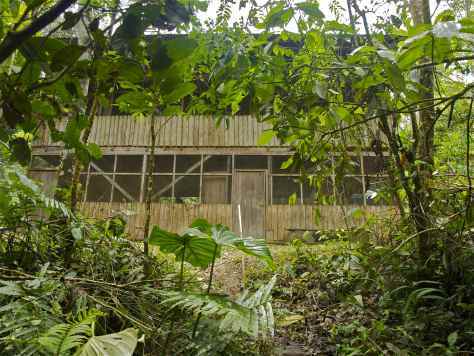 We stayed in one of the two humble wooden houses, Maquisapa Alpa, which were built by AmaZOOnico in distinguished strategic places in the Selva Viva Rainforest just for this purpose. To get to Maquisapa Alpa meant an Amazon rainforest expedition of a sturdy one hours walk from AmaZOOnico over hilly and muddy paths through the rainforest. All food for the monkeys and for us had to be transported over the river by boat, with a car over a dirt road and the last 15 minutes on the back of a volunteer over a murky, slippery path towards the destination. The Challenges of Living in South America in the Amazon Ecuador. The last hurdle was a cable bucket cart, where the load had to be launched to get to the other side of the river if the water was too high to wade through. Either way, volunteers were likely to get stuck with their boots in the sludge, loose hold at the riverbank, get soaked wet and covered with mud. The first time we arrived unharmed on our Amazon rainforest expedition to our new home to start our jobs in the Amazon rainforest. Alejo, the veterinary of AmaZOOnico had been staying with the monkeys prior to us to make sure they took their first steps safely into freedom. He introduced us to the monkeys and our tasks for the next weeks to come. 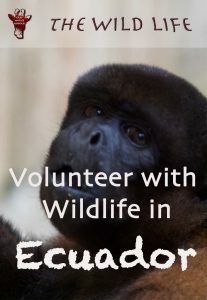 We would be on our own with wild animals in Amazon forest Ecuador without cellphone connection nor experience doing work in the Amazon rainforest. It felt exciting and a bit scary at the same time. Learning what animals live in the Amazon rainforest. George and I sat next to Alejo on a bench and the monkeys approached us curiously to get to know us. We couldn’t make out the differences between them yet at that stage. 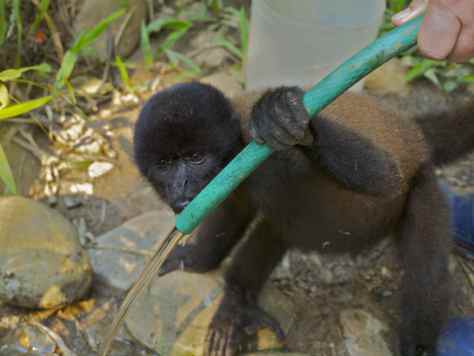 Only Puko, the smallest woolly monkey, was unmistakable. Totally fearless he climbed all over us, grabbing hats and whatever he could take to play with. Seeing that, also Retro approached and grasped my leg to snivel and nibble at it. His twisted front legs, caused by malnutrition during adolescence, were remarkable signs but didn’t hinder him from moving with agility in the trees. Hence as he walked on the ground, he made a cloddy but endearing impression. We had to get used to missing modern achievements such as electricity and hot water as a volunteer. Amazon rainforest experience means beyond many other things to learn and live simple. We had cooked up to this point with all kind of half-finished products. Now we faced the challenge of just a pack of flour and dried yeast, which should be transformed somehow into bread without having a scale. Or, what about the lentils and the cornflour without a recipe? Trial and error, we learned fast what cooking these ingredients needed to be eatable with just a pinch of salt and pepper. Getting used to Amazon Rainforest Food. Luckily lots of fruit and vegetables which were to be shared with the monkeys made the food plan somewhat more diverse. Dairy wasn’t available in the Amazon rainforest. Food for the monkeys was abundant. Initially, they weren’t able to find enough food for themselves like wild animals in Amazon forest Ecuador. However, they didn’t mind sharing their food with us. Contrariwise, they enjoyed pieces of sugar cane standing next to us with an impression of bliss on their face. 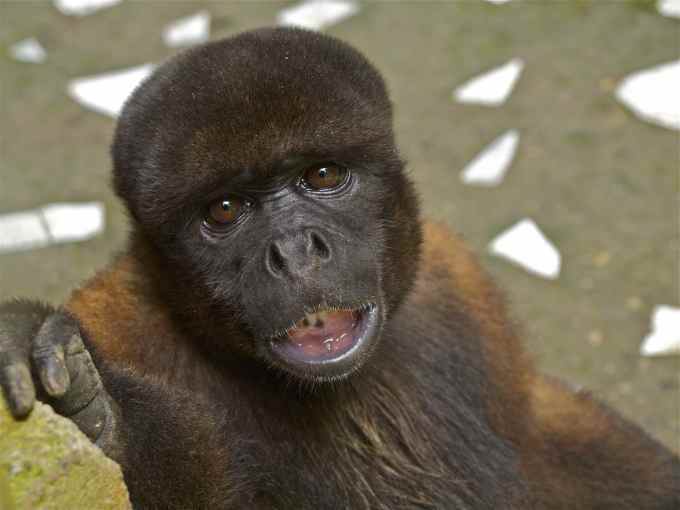 Keisha, one of the two female woolly-monkey of the group, was shyer than Puko and Retro and as was Julio too. Julio preferred to stay further away watching us from the safety of a tree branch. All liked to follow our movements in our house from their position outside. At anyplace we went, be it in the kitchen, the bathroom, the bedroom upstairs or the attic they monitored us. As there were no walls and no windows but only chicken wire, they could see us, wherever we were. They hung, sat or lay to observe their favorite actors as following a peep show in big brother’s container, enjoying the diversion by making their own monkey-comments. The fact, that they used to pee in that position too – which is normal as monkeys do their thing, where ever they are – made us reposition the spices, cups, and pans on the shelves in the kitchen. They were initially directly in their target point line. 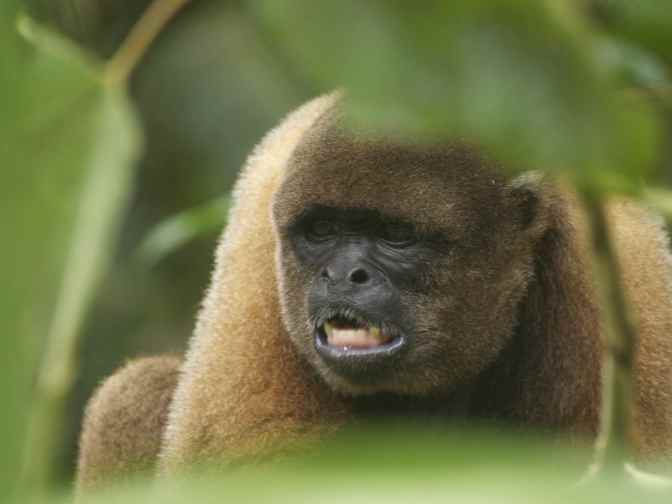 Woolly Monkeys on their Path to be Amazon Wild Animals again. Keisha developed a preference for George as not to say: she was in love with him! She followed him all over the place showing him her teeth in a typical monkey way of showing affection. One day George cleaned the path behind the house leading upwards the hill with a panga (traditional long knife, almost like a wide sword). Only Puko had followed him, so he wasn’t aware of Keisha. She approached George quietly from the back. All of a sudden she hugged him around his bare leg. 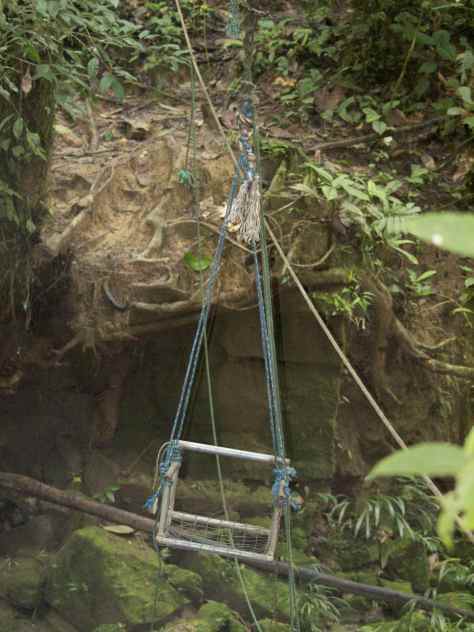 Work in the Amazon rainforest can be daunting. George got a huge fright, not knowing what grabbed him with frightening pictures of gigantic pythons and other predators of the jungle in his mind. Luckily George restrained to chop away the unknown danger. It was just Keisha, who had decided to hug her idol and to get as close as she could. I won’t repeat the four-letter words, which were carried far over the tops of the canopies to reach even me at the other side of the house close to the river. What was a big fright initially, made us laugh a great deal as we told the highlights of our volunteer jobs in the Amazon rainforest later to our friends. Pancha behaved like a wild Ecuador rainforest animal. 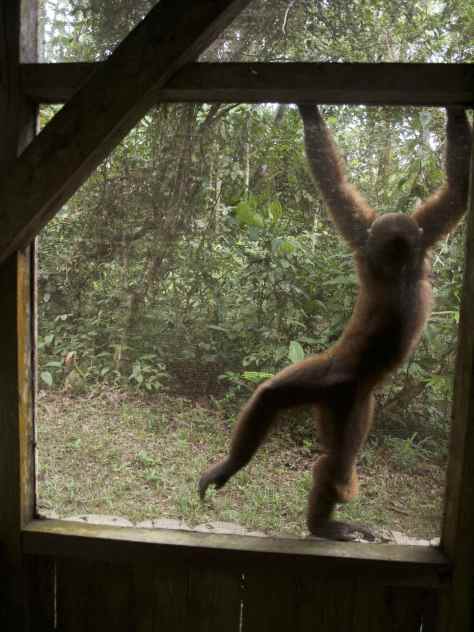 A female athletic woolly-monkey reaching from tree to tree of “Amazon de Ecuador” in surprising speed. She only appeared in the first few days at Maquisapa Alpa and mostly in the top of remote trees, barely recognizable to us. The color of her fur was the same as Julio’s which made it difficult to keep them apart. Julio decided about two weeks into our stay that he was confident enough to discover territory further away. We missed the usual appearance of Julio at our windows. He had followed curiously our every day’s tasks with his black bouncy eyes. But it fulfilled the purpose of our stay that the monkeys would get more confident and independent to allow their reintroduction into the wild Amazon rainforest Ecuador. Unfortunately, this was not possible with Frederico. He had been repeatedly aggressive to volunteers in the past and so, the team of AmaZOOnico had decided to put him back in the cage for good. Selva Viva is not big enough for an aggressive monkey not to be a threat to people and the other Ecuador rainforest animals. As he was a well-proportioned big monkey with a healthy set of teeth, we were quite happy not having to deal with him in the wild. The cage was about 150 meters away from the house. We fed the monkeys twice a day. Frederico in his cage and the others in short distance to it. The cage was spacious and consisted of different compartments. This was necessary to be able to clean the cage safely and to get the still depending monkeys into it when we wanted to leave the reserve for a short while. The monkeys would follow us all over the place and probably lose directions or get to the busy dirt road otherwise. Amazon volunteer work meant also to attend meetings. Luckily we had brushed up our Spanish in a Spanish Language Course before. On every Sunday evening, we were supposed to meet the other volunteers at AmaZOOnico and every Monday all employees and Remigio, the owner. On Wednesdays, we had to find a place on top of a hill with cell phone connection to order food supplies for the monkeys and us. That was only possible halfway to AmaZOOnico on a hilltop. We had to make a plan to get the monkeys in the cage by offering them delicious, extraordinary treats like strawberry flavored Avena balls (oats mixed with papaya and other ingredients) at least twice a week. On Monday we carried the supplies to Maquisapa Alpa ourselves and on Thursday some of the volunteers brought food before lunchtime. We always prepared some fresh bread or other food for them, before they had to walk all the way back to AmaZOOnico. Sometimes we listened to the Amazon rainforest birds before sunset and played cards in the evening by candlelight or read a book while the frogs were croaking. At other times we went to bed almost with the sun only to be wide awake in the middle of the night, listening to the voices which we thought might be of Amazon big cats or other wild animals. 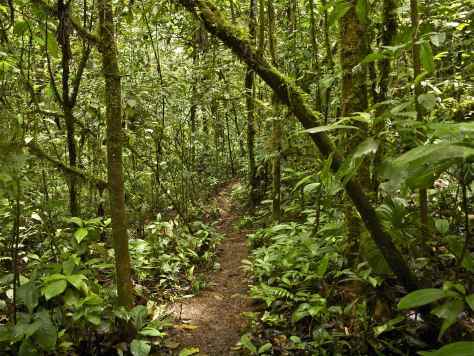 In the Amazon Ecuador, strange noises are common. We were adamant to learn more about what animals live in the Amazon rainforest and wished we’d taken more books with us to read up on them. Waking up with Amazon Rainforest Birds and listening to the owls and frogs in the night. One owl sounded like a women singing sadly along. The sound had serious potential to create weird pictures in our heads of a ghost floating through the night. On Amazon jungle expedition and as a volunteer we learned a lot about what animals live in the Amazon and where. In the whole picture, it was good to be without any internet and telephone for a while, far away from civilization without bothering about news and politics. 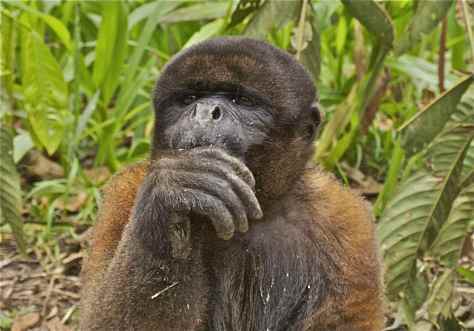 What type of animals are in the Amazon rainforest? To live the moment with all consequences as a volunteer. Amazon Rainforest could be staggering boring at times when ideas what to fix up ran out or the material, therefore, was missing. It taught us, however, something we’d almost lost to be able to: not to do anything without a bad conscience. Not to forget the most exciting experiences, when Puko smashed his plate furiously on the floor like an angry kid, when he was trapped in the cage and his little face showed disappointment. Also the occasions, when his eyes sparkled naughtily and he tried to prevent us from using the broom. Unforgettable was also the experience when the riverbank was too slippery with the unavoidable result to be landing right in the river with a backpack and all. Ecuador is a diverse country with beautiful places to visit. From the Amazon Rainforest to mountains with volcanos and beaches at the Pacific Ocean. Here you find a comprehensive budget travel guide for Ecuador. 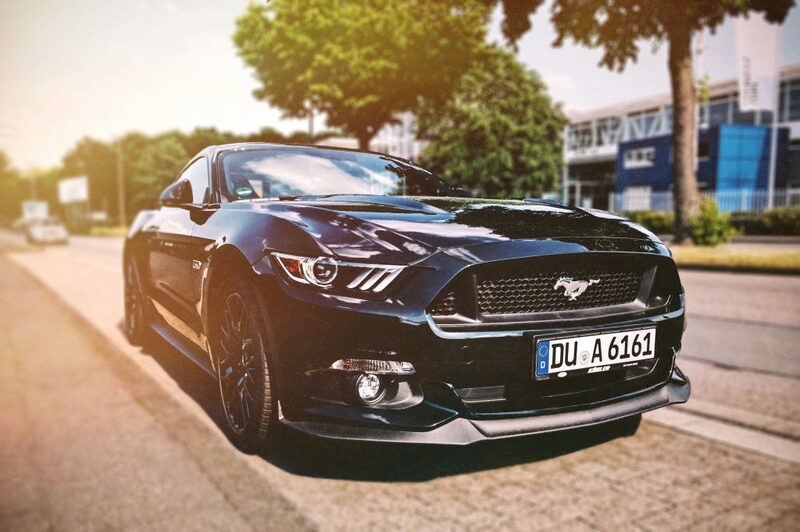 Keep us posted about your experiences! Colombia Ciudad Perdida Tour – Are You Up To it?